When people in the UK vote on 23 June on their country’s EU membership, it will have consequences for the whole of Europe. 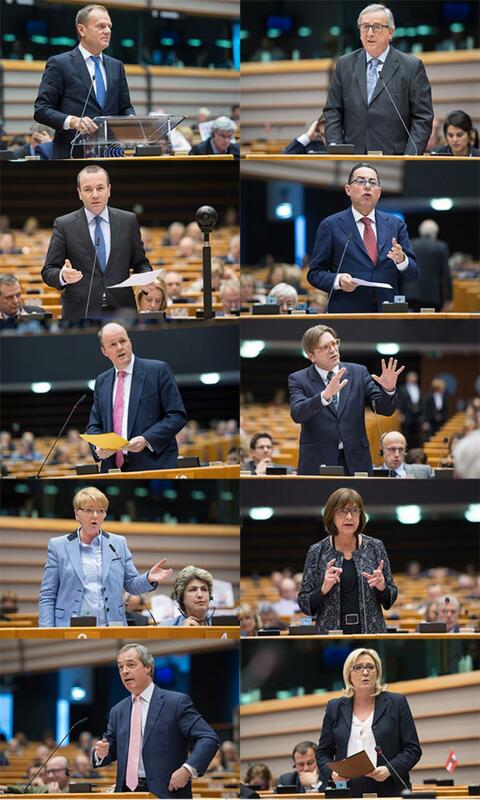 MEPs debated on Wednesday 24 February the possible consequences of the referendum. Most MEPs said the country would be better off in the EU, while others insisted it would benefit from leaving. The debate during the plenary session in Brussels was about the EU summit on 18-19 February dedicated to the refugee crisis and the UK referendum. EU countries agreed on 19 February a deal in response to demands by the UK government for a reform of its EU membership. It contains concessions such as exempting the UK from the obligation to work towards a ever closer union, not giving migrant workers from other EU countries immediate access to in-work benefits and social housing as well as not requiring EU countries that do not have the euro to pay for the single currency. UK Prime Minister David Cameron announced afterwards that the agreement was sufficient for him to campaign for his country to stay in the EU. The agreement will only enter into force if people in the UK vote in favour of staying. Manfred Weber, the German leader of the EPP group, said: "We support the core of the agreement. If the people of the United Kingdom choose to remain within in the EU then they will find a fair partner in the EPP in achieving the implementation." However, he also warned that this was the only agreement available and that there would be no follow-up negotiations. Some politicians in the UK such as justice secretary Michael Gove and human rights minister Dominic Raab have claimed that the European Court of Justice would be able to annul the deal, but during the plenary debate Tusk insisted that the EU deal agreed last week was “legally binding and irreversible” and that it “cannot be annulled by the European Court of Justice”. Gabriele Zimmer, the German chair of the GUE/NGL group, criticised the deal for reducing the EU’s social pillar. She added that with the endorsement of a radical, Anglo-Saxon market model, Margaret Thatcher was being resurrected. MEPs also stressed the positive role played by the UK in Europe. Rebecca Harms, the German co-chair of the Greens/EFA group, said: "I think is very clear that we have to work together with the UK. The EU will be better with the UK on board". "I will be supporting the campaign to remain in the European Union," said Ashley Fox, a UK member of the ECR group. "My reasoning is simple. Britain's economic recovery, though good, is still fragile and I will not put it at risk by tearing us away from the single market. And I also believe that my constituency will be safer and my country more secure if we continue our cooperation with our European partners." Three MEPs have been charged with negotiating the UK’s deal on the reform of its membership on behalf of the Parliament: Guy Verhofstadt, Elmar Brok and Roberto Gualtieri. However, other speakers said the UK would benefit from leaving. The referendum "is for the UK an opportunity to look back and to measure the benefits of joining up,” said Marine Le Pen, the French co-chair of the ENF group. “If they decide that they want it, they can opt for freedom, for sovereignty and if they do that they will find the ways of solving the problems of the modern world." Nigel Farage, the UK co-chair of the EFDD group, suggested the UK would be safer outside the EU: "I have to say the British public will decide which is our safest option: it is safe to stay within an organisation whose own police boss tells us there are three to five thousand terrorists that are now coming to our continent through the migrant crises or it is safest to take back control of our own borders and our own democracy?" Find out what your MEPs have to say about it on social media with the help of our newshub.